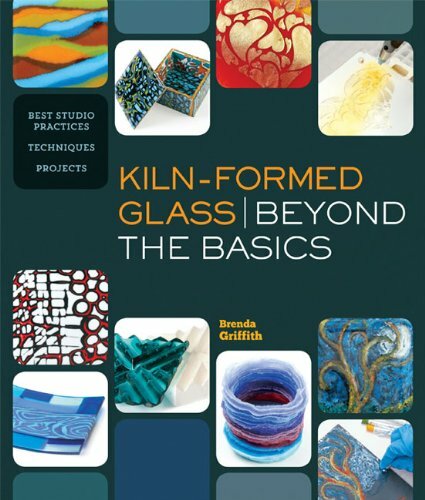 With this comprehensive guide, acclaimed artist Brenda Griffith takes kiln-formed glass to the next level. From cast glassing and cold working to adapting unusual tools and materials, she covers a range of advanced techniques that glass crafters need to know. In addition to beautiful projects and stunning gallery images, information on best studio practices and a "beyond the kiln" section make this indispensible. Measures approx. 10 inches H. x 8.5 inches W.
Published in 2014 by Lark Books.